Green Van Lines is one of the leaders in the packing and moving industry; our main objective is to provide maximum satisfaction to customers with our moving services. 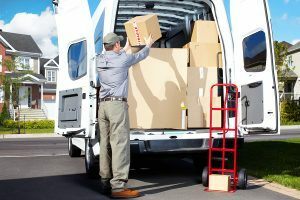 We are the most renowned moving services company, that is known for providing quality and excellent relocation services in Florida (FL), across its various cities and towns – such as Miami, St.Petersburg, Orlando, Cape Coral, etc. Florida is one of the most happening hot spot tourist destinations in America. Every year, people flock in large numbers to spend their vacations here. We offer a very wide range of services related to moving and packing of goods, and other items. We are committed to being on time, being knowledgeable, and working efficiently. We are the Florida (FL) movers who continuously push for providing world-class moving services to our customers. Our moving and packing services promise the trouble-free, timely, and unperturbed transfer of your goods. Florida Packing Services: Our trained staff and experts pack your goods as per your time commitments, using world class packing material, such as cardboard, thermocol, polythene wrapper sheets, and quality tapes and gums. Every aspect of packing is taken care of, so that your goods reach their destination. Florida Loading Services: We take the utmost care in loading your valuables and packing your items. Our staff and trained loading expert have in-depth knowledge of the various aspects of loading goods. We know how to place goods, so that they may not get damaged while moving. Florida Unpacking Services: We also provide unpacking services to our customers. Our professional staff takes every possible step to unpack your goods, with the utmost care and attention. Florida Transportation Services: We have a very large and well maintained fleet of trucks that ease in transporting the goods from one destination to another destination. We try our best to deliver the goods on time at the prior destination without causing any anxiety to our customers. Florida Insurance Services: We also provide insurance services to our customers in order to prevent any loss during transit. Florida Warehousing Services: We also provide warehousing services. Spacious and abundant ware housing facilities are available for household goods, furniture and industrial goods. Florida Car Carrier Services: Green Van Lines movers and packers provide door-to-door pick up and delivery of cars all over America. The deliveries of cars are carried through closed container car carriers. These car carriers are specially designed for brisk and timely relocation of cars from one place to another. Florida Office Moving Services: We offer sound and economic office moving services. We use special cartons and packaging materials for moving the essential office items such as computers, official files, furniture, etc. Florida Apartment Moving Services: We also provide economic and reliable apartment moving services to our customers all over America. We take extra care to prevent the household goods from any sort of damage.